I ‘oooohed’ and ‘ahhhhhed’ when I saw these brilliant little sewing machines! Clearly inspired by the old vintage Singer sewing machines, these little charms are just sooooo cute! Measuring approx 1.2 inches by 3/4 of an inch they are a fairly good size as they hang from vintage gold toned chain. 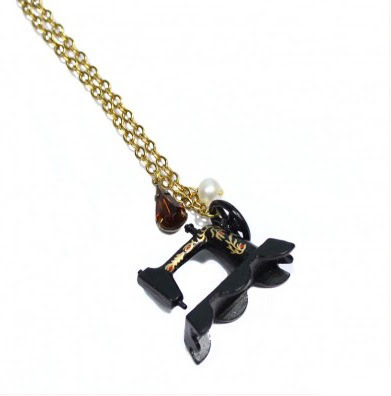 I have also adorned the necklace with a cute little vintage glass faceted charm and a fresh water pearl. 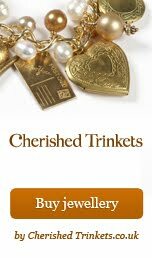 Perfect for that special somebody who enjoys sewing or appreciates vintage style jewellery.